Those little white bumps called whiteheads can make your face look unsightly. You develop them because sebum, dead skin cells and oil block pores under your skin. These whiteheads can appear anywhere on your face, but they feel really upsetting when they appear around your mouth. Some people develop these pimples because of the overuse of lip balm, while others get it when they use certain oral care products. Is it possible to prevent or treat this condition? Let's find out more about it. Excessive Use of Lip Balm: Using lip balm too often can cause acne and whiteheads because it contains irritating substances. 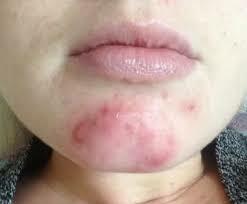 It can also clog the pores and contribute to acne. Use of Certain Toothpastes: You may be using toothpaste with sodium lauryl sulfate that may well be the reason behind your acne breakouts. It can enter the pores in your skin and lead to a blockage. Excessive Stress: Being under stress all the time can lead to hormonal changes that can cause pimples around the mouth. Toxins: You may develop whiteheads around mouth if you are on a low-fiber diet. Having inadequate amount of fiber in your body makes it difficult to eliminate toxins from your system, which is the reason why you develop acne. Food Allergies: You may develop acne and pimples when you have food allergies or eat something that causes digestive system inflammation. What's more, stomach hypo-activity, underactive liver function, constant exposure to sun, and overuse of skincare products can also increase your risk of developing whiteheads and pimples around your mouth. Stick to a consistent facial-cleansing routine and be sure to wipe out pimples twice a day. The idea is to keep your skin clean and free of oil and dirt. Here is what else you can do to prevent whiteheads. 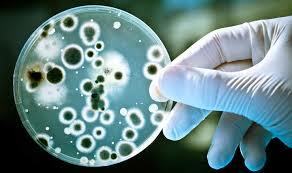 Ensure you do not let any bacteria thrive on the surface of your skin. You can do it by washing your face at least twice a day using a good acne-fighting cleanser that contains salicylic acid and benzoyl peroxide. This helps get rid of dead skin cells and bacteria. Take 5% benzoyl peroxide and dab it around your cheeks and mouth at least twice a day – be sure to use it after using the toner. Let it dry first and then apply an oil-free moisturizer. You will be better off using a non-comedogenic moisturizer that contains silicone oils because this limits oil production and prevents breakouts. Do not touch your face. It could be difficult at first to resist the temptation but keep your fingertips away from your face. You can easily transfer any dirt and oil from your hands to your face, which can clog pores and cause whiteheads around mouth. Use alcohol to wipe down your alcohol and do everything you can to avoid spreading bacteria to your skin. 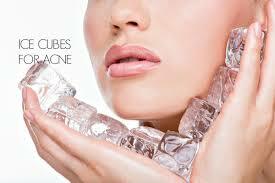 You can reduce redness and inflammation caused by whiteheads and acne by applying ice. It also constricts your blood vessels in the affected area and helps get rid of excess oil. Take an ice cube and wrap it in a towel. Now, hold it against your pimples for a few seconds. Wait for a minute or two and then repeat again for relief. You should be very careful when using skincare products, including lip balm. These products can make your skin condition worse. 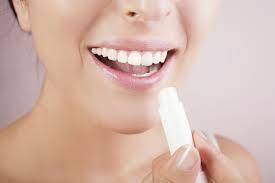 Excessive use of lip balm clogs the pores and cause whiteheads to appear around your mouth. Moreover, these products contain fragrances that can stimulate sebum production. If you really want to use it, be sure to go for fragrance-free varieties. Thanks to the antibacterial properties of honey, it really helps eliminate infection and improve the quality of your skin. Mix it with honey and you have a perfect cure for your whiteheads. 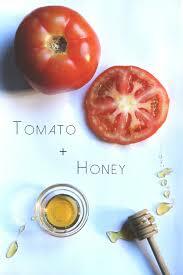 Simply take a slice of tomato and apply honey on it with some sugar. Now, rub it gently on the affected area for a couple of minutes and then leave it there for 10 minutes. Wash it off using fresh water. A combination of honey and baking soda may also help get rid of whiteheads. 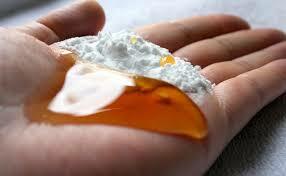 Simply mix half spoon of baking soda with two tablespoons of honey. Apply the paste directly on your affected area and massage gently. Leave it there for 10 minutes and then wash it off using warm water. The combination of vinegar and cornstarch works because it helps open up your clogged pores. Make a paste by mixing a teaspoon of vinegar and two tablespoons of cornstarch. Apply this paste directly on your whiteheads and leave for 15 minutes. Then, wash your face with warm water. Ensure that your toothpaste contains natural ingredients only to prevent pimples. Install a humidifier in your room to keep the air moist during the night. Dry air makes your skin dry and increases your risk of developing acne. Make use of Aloe Vera gels to control irritation around the mouth. Try meditation and seek psychological counseling to keep stress under control. Opt for hormone therapy to resolve any hormonal issues. Increase your fiber intake through diet and supplement. Take oral medications to treat digestive system inflammation. Avoid food that may cause allergies. Take oral meditation to stimulate the production of hydrochloric acid. Take natural supplements and medication to improve liver function.